Do you have commercial outdoor lighting at your place of business? If not, it may be time to invest in this important security measure to make sure you are doing all you can to keep your employees safe. There’s nothing like being the last person out of the office, fumbling for keys to lock the door in the dark - this can invoke fear! 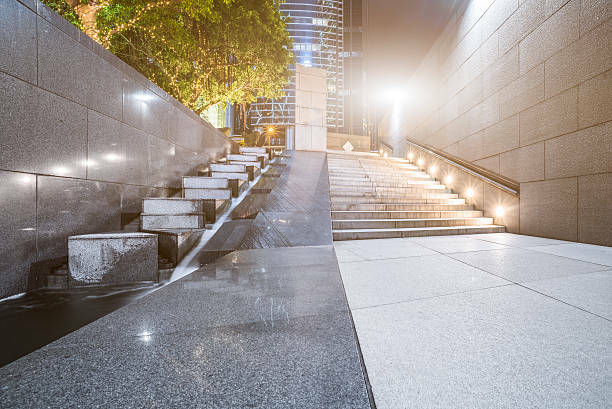 Let’s be sure you have the right commercial outdoor lighting to provide a safe, well-lit nighttime appearance for your workplace. Leaving your lights on can make intruders think twice before heading to your well-lit place of business. It’s important to balance just the right amount of light without going overboard and illuminating the interior of your business, exposing workplace stations and information to the outside world. Often, insurance companies will recommend or require security lighting to make sure your business is up to code. The most common protected areas include the front door and parking lot, which not only illuminates the door and safe walkway to cars for your employees but can shine a light on anything out of the ordinary happening, such as an unwelcome guest arriving at your location. First, take a look at your current lighting situation once it turns dark. Ask yourself if all areas, and entryways of your business are well-lit, including side access doors. Illumination - often utilized to light your driveway or sidewalks. These can also be great to utilize in your garden, paths or walkways. Mounted Lights- best for entryways, as we mentioned, front door, side entrance and back door of your office. We recommend when planning your outdoor security lighting to think about your energy efficiency goals. It might be on your list to decrease your monthly electric bill for the workplace, in that case, a timer can be a nice way to make sure your lights aren’t accidentally left on. There are many outdoor security lights that are also powered by our good friend the sun. Solar-powered lights are a great way to be a friend to the environment while protecting your home. As another alternative, you may consider a motion detector light, which will shine brightly if someone walks past the area where you’ve set up your outdoor light. Lastly, it’s time to go shopping to pick out your lighting. Our team at Professional Electric is standing by to make sure you are well suited for your outdoor commercial lighting. Visit us online at www.ProfessionalElectric.biz and connect with us on Facebook and Twitter! We are available 24/7 for emergency services. Mobile, Alabama: (251) 473-5788 Baldwin County: (251) 929-8957. We are highly skilled and trained to service our commercial customers to ensure your business is up to code. We ensure your electrical system functions properly by troubleshooting, updating and repairing any hazards. We are dedicated to quality service. We will work to eliminate any issues with your electrical system that may be hazardous or negatively impact your business.